CONNECT4KIDS FAMILY NIGHT IS THIS THURSDAY! Please join us for this uber popular FREE event–it’s fun for the whole family: tempting raffles, art projects, engaging games, invigorating yoga and much more! See attachment to learn more about the PTO’s Connect4Kids–our mission and our upcoming parent forums. We’d love your input & participation! Don’t forget, tomorrow is WEDNESDAY, the beginning of the waste-free lunch challenge! Get the reusable containers and cloth napkins ready! And, THURSDAY Oct. 3rd at 9:15am is the Lincoln Art Appreciation informational meeting at the River Forest Public Library–please come to learn more about our excellent program. 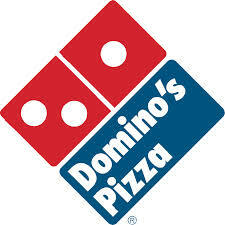 FUN LUNCH for Friday, Sept. 27th is pizza from Domino’s at 329 Chicago Avenue in Oak Park. Thank you to all the Fun Lunch helpers. A SPECIAL THANK-YOU to the Lincoln staff and other volunteers at our Movie Night last week. RAFFLE DEADLINE EXTENDED to Sunday, September 29th at midnight. Would your child like to lead the Halloween parade or be Principal for a Day? How about winning a class pizza party, a Book Fair gift certificate, or 4 tickets to the Pancake Breakfast? The drawing will be held next week—it’s not too late! Check out all the fun fundraising prizes available at the PTO Web Store. HEARTWORKS is a service club ONLY for 4th graders! We will hold our first meeting on Monday Sept. 30th, during the 1st half of the lunch period in Ms. Bajo’s room: 23E. Make a difference and be of service to others. “Look at Your Lunch” sent home everything uneaten from lunch this week. This hopefully gave us all a better appreciation for the amount of trash created. WASTE-FREE WEDNESDAYS LUNCH CHALLENGE: Beginning Wednesday, October 2nd, the Green4Good Committee will give out hand stamps to all kids who bring a waste-free lunch. This will be an on-going event each Wednesday up until our BIG Waste-Free Lunch Challenge during Earth Week. For tips on packing a waste-free lunch go to the District 90 website and click on the “Zero-Waste Lunch Tips” flyer. Thursday, October 3rd, at 6:00-7:30 PM in the Gym. Please join Connect4Kids as we build a caring, connected community. Your whole family is invited to participate in raffles, art projects, games, yoga, and more at our fun Family Night! ART APPRECIATION: Parents—Come to an informational meeting about being an art parent. It is a fun way to be in your child’s classroom a couple of times per year. The meeting will be on Thursday, October 3rd at the River Forest Public Library at 9:15 am. Do not be afraid—you do not need an art background! Information and supplies are provided. Come check it out. Questions? Call Jean at 708-488-0933 or email lunamama6 AT gmail.com. SCHOOL PICTURE DAY is October 8th. INTERNATIONAL WALK TO SCHOOL WEEK is October 7-11th. The Green4Good Committee would like to encourage everyone at Lincoln to walk to school that week! It’s fun, it’s healthy, and it helps the Earth. FAMILY MATH NIGHT is October 17th starting at 6:30pm. Join your friends for the Lincoln PTO’s popular Family Math Night. Have fun playing games and winning prizes using your math skills. Admission is free. The THIRD-GRADE GIRL SCOUT TROOP is still open to new Brownies. If your girls are not able to attend Tuesday meetings, there is still an opportunity to join our monthly outings, field trips and service opportunities. We have part 2 of our patch-eligible Food Drive this Saturday, September 28th at 10:00 AM and our big screen outdoor Movie Night on Friday, September 27th at 6:45 PM. For more details and to RSVP, contact Irene Wolinski for the Food Drive at 773-544-9740 and Suzi Schrader for the Movie Night at 312-961-6497. NEW KINDERGARTEN GIRL SCOUT TROOP: Become a Daisy! Girl Scouts is an enriching experience that helps girls make friends, learn new skills, and be part of their community. We only need 5 girls to form a troop. Please contact Lurana Brown if you are interested: “luranajbrown AT yahoo.com”. The PTO runs on volunteers—can you help? We need volunteers for Waste-Free Wednesdays, Connect 4 Kids Game Night, School Picture Day, and Family Math Night. Find the event right for you on Sign Up Genius. DO YOU WANT TO ANNOUNCE YOUR EVENT? Please submit requests to “lincolnPTOcommunications@gmail.com” by midnight on Tuesday for the weekly Thursday newsletter. The Lincoln Open House is tonight at 7PM! Grades 1-2 and AM Kindergarten begin in the auditorium while grades 3-4 and PM Kindergarten begin in their classroom. FUN LUNCH for Friday, Sept. 20th is subs from Alpine, 7538 W North Ave, Elmwood Park, IL 60707. Is your first grader interested in becoming a Girl Scout? A new troop is forming for 1st grade girls to begin in October. Informational meeting for interested parents on Tuesday, September 24 at 7:30PM at the River Forest Library. Please email VanessaDruckman@gmail.com for more info. Families are invited to a big-screen showing of “Wreck It Ralph” under the stars. Buy your tickets now at the PTO Web Store and save $1 per ticket (on line ticket sales end 9/20 at Noon)! Concessions start at 6:30pm, the movie starts at dusk. A $5 ticket includes the movie, popcorn and lemonade. $2 hot dogs and concession treats are also available for purchase. See flyer for details. Bring chairs or a blanket and join us for this favorite “start of the school year” fundraising event! Can you help us with ticket or concessions sales, or clean-up? Please sign up for a 1.5 hour time slot on Sign Up Genius. We really appreciate it! While you’re buying your movie tickets, add some $1 RAFFLE TICKETS to your shopping cart – on sale online! Would your child like to lead the Halloween Parade? How about winning front row seats to the Winter Concert? Check out all the fun fundraising prizes available at the PTO Web Store. SPIRIT WEAR: “We’ve got spirit, yes we do! We’ve got spirit, how about you? Prepare for the weather change with our cozy vintage sweatshirts or toasty winter hats. Want to keep it simple? Check out some of our funster knee socks or colored shoe laces. Join classmates in letting your Lincoln Eagle Flag fly high on Fridays by sporting your school colors! Please order your back-to-school spirit wear by September 22nd at the PTO Web Store. Purchases will be distributed by early October. Attention 4th graders! Come find out about Heartworks. It is a service club ONLY for 4th graders! We will meet on Monday September 30th, during the 1st half of the lunch period in Ms. Bajo’s room: 23E. Make a difference and be of service to others. Check it out! In an effort to shed some light on the mystery of how much our kids are and are not eating during lunch, for the next 3 days Lincoln students will bring home all uneaten food, recyclables and trash in their lunch boxes. Parents will be amazed at how much food gets thrown out each day! “Look at Your Lunch” will help each family pack a “just-right” size lunch in the future, and hopefully give us all a better appreciation for the amount of trash created in each lunch. WASTE-FREE WEDNESDAYS LUNCH CHALLENGE – Beginning Wednesday, October 2!! The Green4Good Committee will begin giving out hand stamps to all kids who bring a waste-free lunch. This will be an on-going event each Wednesday up until our BIG Waste-Free Lunch Challenge during Earth Week. For tips on packing a waste-free lunch go to the District 90 website and click on the “Zero-Waste Lunch Tips” flyer. Please join us as we build a community of caring and foster deeper connections with our children, our school and the community. Your whole family is invited to participate in: tempting raffles, art projects, engaging games, invigorating yoga, and more! We need your help with Movie Night, Raffle Ticket Sales and Family Game Night. Please see event listings for the details on Sign Up Genius. And don’t forget our PTO Activity Fee, listed under “Donate to the Lincoln PTO” on the Web Store. Your dues not only go towards funding PTO events and activities, they also contribute to school items such as technology upgrades, new playground equipment, assemblies, teacher wish list items and so much more…Thank you! Be sure to scroll down and read about our upcoming events: Movie Night and Connect4Kids Family Night! FUN LUNCH for Friday, Sept. 13th is pasta from Puree’s Pizza & Pasta, 1023 Lake Street in Oak Park. BACKGAMMON & CHESS CLUB – first meeting is next Wednesday! LINCOLN OPEN HOUSE -Thursday, Sept. 19th at 7pm. While you’re buying your movie tickets, add some $1 RAFFLE TICKETS to your shopping cart – on sale online! Would your child like to lead the Halloween Parade? How about winning front row seats to the Winter Concert? Check out all the fun fundraising prizes available at the PTO Web Store. And don’t forget our PTO Activity Fee, listed under “Donate to the Lincoln PTO” on the Web Store. Your dues not only go towards funding PTO events and activities, they also contribute to school items such as technology upgrades, new playground equipment, assemblies, teacher wish list items and so much more…Thank you! SCOUTS: Back-to-school means back-to-troop too! Lincoln is lucky to have school-based Scouting groups who are welcoming new members. Girl Scouts Brownie Troop #40083 for third-graders welcomes previous and new members to an informational and registration meeting. Join us in Room 27/Dumont from 6:00-7:00pm to learn more about our plans for the 2013-2014 year! See flyer for details. Girl Scouts Brownie Troop #40744 for second-graders is holding an informational and registration meeting in Room 5/Mayer from 6:30-7:30pm. See flyer for details. A new Girl Scouts Daisy Troop for 1st-grade girls is also starting soon! Contact Vanessa Druckman (vanessadruckman AT gmail.com/708-689-0878) if you are interested. Pack 67 of southern River Forest will hold an informational meeting on Monday in the Lincoln School Auditorium from 7:00 – 8:00 pm. See flyer for details.